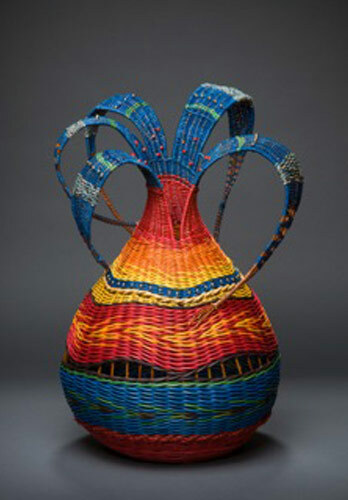 Woven with willow, artist dyed rattan, sisal, sea grass, copper wire and beads. Copyright © 2019 Evans/Stevens. All rights reserved.